A membership with Hoofer Mountaineering gives you access to our gear locker, as well as discounts at the climbing wall in the Sett and 20% off climbing gear at Fontana Sports in Madison. 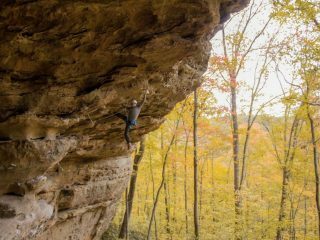 We got a grant from the WCA to make one of the best climbing spots in Wisconsin even better! We're going to be cleaning up trash and graffiti in Necedah on Sunday, May 12th. Lunch and snacks will be provided! We'll try to climb after we're done! TLDR: Free food and have fun with your friends all day, so you should come!